Medicare Advantage is one product that prompts a lot of questions when you’re new to Medicare. Taking a few minutes to read these Medicare Advantage FAQs will give you the information to make an informed decision before you enroll in a plan. What’s the difference between Original Medicare and a Medicare Advantage Plan? Is a Medicare Advantage Plan the same as a Medicare supplement? Can I have a Medicare Advantage Plan and a Medicare supplement? Do I need Medicare Part A and Medicare Part B to enroll in a Medicare Advantage Plan? Can I enroll in a Medicare Advantage Plan if I have preexisting medical conditions? Do most Medicare Advantage Plans include Part D drug coverage? What do Medicare Advantage Plans cost? How do I compare Medicare Advantage Plans? Why do I need to compare Medicare Advantage Plans every year? The most basic of Medicare Advantage FAQs is what is Medicare Advantage. Medicare Advantage Plans are available from private insurance companies approved by and contracted with the Centers for Medicare and Medicaid (CMS) to offer you, as a Medicare beneficiary, another way to receive your Medicare benefits. A Medicare Advantage Plan is often an HMO or a PPO and is also called Part C or MA Plans. 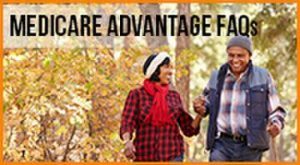 When you have a Medicare Advantage Plan you will receive your Part A (hospital insurance) and Part B (medical insurance) from the Advantage Plan. Medicare Advantage Plans must cover all services covered under original Medicare. The difference is in how much you pay for these services. You may find an Advantage Plan agreeable because required co-payments and coinsurance amounts are often less that out-of-pocket costs with original Medicare. Understanding the differences between original Medicare and Medicare Advantage Plans is crucial. Many Medicare Advantage FAQs could be answered if the differences were understood. The primary difference that attracts most people to an Advantage Plan is the cost. With original Medicare you pay your Part B premiums and if you’re hospitalized you will be subject to high daily co-payments. You will also be responsible for 20% of non-hospital related covered services like doctor visits, ER, labs and other diagnostic testing. When you’re enrolled in a Medicare Advantage Plan you continue to pay your Part B premium and you may have a monthly premium with your Advantage Plan. Many plans do not have a monthly premium. These are $0 premium plans. Your expenses are generally lower for inpatient hospital stays. You will also generally pay small co-payments for services such as doctor visits and co-payments or coinsurance for other testing and services. With an Advantage Plan you have a maximum out-of-pocket (MOOP) for the calendar year. Original Medicare does not offer a maximum out-of-pocket. For example, you will be responsible for 20% of outpatient services no matter what the total cost. Another important difference is that Medicare Advantage Plans generally have a provider network. If you need emergency care an exception is made. This difference makes it very important to check the plan’s network before you enroll. Frequent travelers sometimes find Advantage Plans overly restrictive. You should think about your lifestyle and future travel plans and decide if a plan is suitable. There are two benefits offered by some Medicare Advantage Plans that make them very appealing. Most Plans include Part D drug coverage so that you can get all your Medicare coverage in one plan. There are even plans with Part D coverage that are $0 premium plans. The second benefit is the possibility that your plan may offer services not covered by Medicare. Dental, vision, hearing, transportation and gym memberships are often included in Medicare Advantage Plans. Compare plans to see what benefits are available. A Medicare Advantage Plan is often called a Medicare supplement. You may even read news stories where a writer refers to an Advantage Plan as a supplement. This is a mistake. A Medicare Advantage Plan and a Medicare supplement are two entirely different products. Both are available from private insurance companies but that’s where the similarities end. A Medicare Advantage Plan is another way to get your Medicare benefits. The plan pays for Medicare services… original Medicare does not. The official name for a Medicare supplement is Medigap. To buy a Medigap policy it’s necessary to enroll in original Medicare. After Medicare pays it’s share of expenses the Medigap policy pays some of the expenses that are your responsibility. How much the policy pays depends on the particular policy you have. Once you buy a Medicare supplement and continue to pay your premiums you’re done. You do not need to shop for plans often unless you think you can get a better deal. Medicare Advantage Plans are annual plans and last for one calendar year only. Also, with only one exception a Medicare Advantage Plan is not medically underwritten. A supplement on the other hand may require medical underwriting depending on when you choose to submit an application. Once you understand how both of these types of plans work it’s easy to see that referring to a Medicare Advantage Plan as a Medicare supplement is a mistake. Continue reading for more Medicare Advantage FAQs. You cannot have a Medicare Advantage Plan and a Medicare supplement at the same time. You have three choices; enroll in original Medicare and pay your share of expenses, Buy a supplement when you have original Medicare or enroll in an Advantage Plan and receive your benefits from the plan. Of all the Medicare Advantage FAQs this one comes up most frequently. Yes. Before you enroll in a Medicare Advantage Plan sign up for Part A and Part B. If you have worked and paid into Medicare through payroll taxes for 40 quarters (10 years) you will not pay a premium for Part A. Part B premiums are usually deducted from your Social Security income. Your annual income determines your Part B premium. To be eligible to enroll in a Medicare Advantage Plan you must meet three requirements. Enroll in Medicare Parts A and B, live in a Plan’s service area and not have end-stage-renal disease (ESRD). Medicare Advantage Plans are specific to service areas. A service area is normally a County. To join a plan such as AARP MedicareComplete for example, check to see if it’s available in your County . Insurance companies are able to choose where plans are available. Plans available in your County are not always available in other Counties. If you have ESRD you qualify for special benefits from Medicare and enrolling in an Advantage Plan is not allowed as it is not needed. It’s also important to note that being 65 years old or older is not required. Just meet the above requirements. Continue Reading for more Medicare Advantage FAQs. The only preexisting medical condition that will disqualify you from enrolling is End-stage-renal disease (ESRD). Once enrolled you will not have any exclusions or waiting periods to use your plan. You will be entitled to all the benefits Medicare has to offer. There are several types of Medicare Advantage Plans. Some have to do with provider network type and others are for people with special needs. Health Maintenance Organization (HMO): The HMO is the most common type of Medicare Advantage Plan. When enrolled in a HMO you will use the providers and facilities in the plan’s network. Needing emergency care is an exception. Because insurance companies are able to negotiate deep discounts with network providers your costs are often lower than with other types of plans. Preferred Provider Organization (PPO): A PPO also has a provider network. There are differences between a HMO and a PPO. One difference is that you are able to go outside the network if you are willing to pay higher costs. These costs are typically co-payments and coinsurance. You have more flexibility with a PPO but the trade of is often higher out-of-pocket costs. Private Fee-for-Service Plan (PFFS): A PFFS plan does not have a provider network. 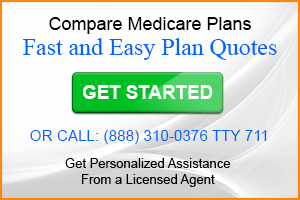 You are able to choose any provider that accepts Medicare AND chooses to accept the plan. It’s important to note that with this type of plan a provider may initially accept the plan only to refuse at a later date. There are fewer and fewer PFFS plans available. Health Maintenance Organization – Point of Service (HMO-POS): Although not very common a HMO-POS plan functions more like a PPO. You are able to go out-of-network for a higher cost. Check the costs of going out-of-network before you enroll. There are three types of Special Needs Plans (SNPs). These plans are only for people who meet the specific criteria of each plan. Chronic Condition Special Needs Plan (C-SNP): A C-SNP is for people who meet the criteria for the specific conditions the plan covers. These conditions may include, hypertension, arthritis, COPD, heart disease and many others. The benefit of a C-SNP is the level of coordinated care provided. Institutional Special Needs Plan (I-SNP): An I-SNP provides coverage for people confined to an institution such as a nursing home. They are also available to someone who while under a doctor’s orders receives care at home. Dual-Eligible Special Needs Plan (D-SNP): If you are Medicare-eligible and enrolled in your State’s Medicaid program you qualify for a D-SNP. These plans provide care for the financially needy and those who need extra help. (One of the more important Medicare Advantage FAQs). Most Medicare Advantage Plans include Part D drug coverage. These are MAPD plans. If an Advantage Plan does not include drug coverage it’s a MA Plan. The Medicare Advantage Plan’s premium includes drug coverage even if it has a $0 premium. Many name brand prescription drugs are very expensive and the plans that include these drugs will typically have a higher premium. $0 plans very seldom contain the more expensive name brand drugs. You should check the plan’s drug formulary before you enroll. Of all the Medicare Advantage FAQs cost is foremost in most people’s minds. But knowing what a Medicare Advantage Plan costs is not as easy as looking up the monthly premium. There are a lot of moving parts. Of course the monthly premium contributes to the cost but you should also consider the plan’s co-payments and coinsuance amounts. 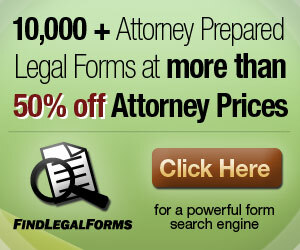 And on top of that you will need to investigate how much your drugs will cost if you have drug coverage included. In may cases you will need to compare a plan to other available plans to get an idea of true cost. For instance if your plan doesn’t include extras like vision and dental while others do, you have a more costly plan if you need those services. You’ll also need to compare the cap in out-of-pocket costs between plans. If you need to use your plan often in a calendar year a lower cap on costs could actually be less expensive that a plan with a higher cap and higher premiums. You can see why of all the Medicare Advantage frequently asked questions the concept of cost is not an easy one to answer. There are several enrollment periods. Check out the list of enrollment periods below. The Annual Enrollment Period (AEP) is the time that you can enroll in, drop or switch a Medicare Advantage Plan. The AEP begins on October 15 and ends on December 7th each year. Your Advantage Plan becomes effective on January 1st. Insurance companies can publicize their plans starting October 1st but cannot receive enrollment applications until October 15th. There are also a number of Special Enrollment Periods (SEP). If you are enrolled in an Advantage Plan with fewer than four stars you can enroll in a five-star rated plan one time per year. You must have a 5 star rated plan in your service area to take advantage of this Special Enrollment Period. There are other time you can enroll as well. If you live in an institution such as a nursing home you also qualify for a Special Enrollment Period. Losing your employer group health coverage also qualifies. If you move out of your plan’s service area you qualify. It’s also important to note that there is an Annual Dis-enrollment Period as well. You can dis-enroll from your Advantage Plan from January 1st through February 14th. You can’t enroll in another Advantage plan at that time. You must return to original Medicare and are able to buy a stand-alone Part D drug plan. You can also apply for a Medicare supplement but may need to undergo medical underwriting. It’s important to compare Medicare Advantage Plans because they can vary widely. many people make the mistake of enrolling in the plan with the lowest premium or merely take the advice from a friend or family member. This is not wise. There’s no guarantee that a plan will include all your providers no matter what the premium. A plan that is universally good for everyone doesn’t exist. We all have different needs and circumstances. There are several ways you can compare plans. Some are better than others. You could meet with several insurance agent to learn about plans. I’d rather go to the dentist. You could visit the official Medicare website. If you are not interested in details only wish to see a list of plans visit the Medicare website. Finding an online resource where you can compare all plans and apply for enrollment is the most efficient way. eHealth is the largest and most well-known of these services. You can also call (888) 310-0376 toll-free and speak with a licensed insurance agent. The Summary of Benefits – This details everything covered by the plan and what your costs will be. The Provider Directory – Check for all your providers and hospital . The Part D Formulary – The formulary is the list of covered drugs, their drug tier and how much you will pay for a prescription. If you plan to travel find out what your options are if you are away from home. Some plans have programs that allow you to use providers nationwide. One such program is the United Healthcare Passport Program. Be sure to review all Medicare Advantage FAQs before you enroll. Medicare Advantage Plans are effective for one calendar year. Although the name remains the same from year to year the benefits, provider network and premium can change. When enrolled in an Advantage plan and it is renewing for the following year it is up to you to compare plans to decide if you would like to keep the plan even if there are changes. If you do nothing the plan will automatically renew. In late September each year the plan will mail you an Annual Notice of Change. This details any changes to the plan for the following year. It’s your responsibility to actually open the letter and read it. Many people don’t only to learn about the changes when it’s too late. Getting the answers to Medicare Advantage FAQs concerning enrollment is very important. Sometimes Medicare Advantage Plans don’t renew. You will receive mail notification. This will open new opportunities to you including an opportunity to buy a Medicare supplement even if you have preexisting medical conditions. Check out the Medigap FAQs frequently asked questions about Medigap to learn more.